Food from Thought-related resources, including publications, reports, videos, photos, links, and related policies. A series of videos delivered during the Arrell Food Summit at Guelph Talks: Food on May 22, 2018. These short, seven-minute talks feature University of Guelph professors discussing innovative research in plant agriculture, biodiversity genomics, ecosystem health, ag in the north, nutrition, big data and animal care. You can find the full list of videos here: Link to Guelph Talks: Food videos. The inaugural Guelph Talks: Food video series took place in 2016. 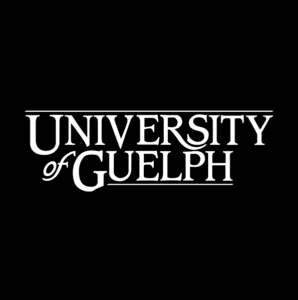 Link to Guelph Talks: Food videos. The descriptive transcripts for Food from Thought’s videos can be found here: Link to descriptive transcripts. The Animal Health Laboratory (AHL) and Agriculture and Food Laboratory (AFL) have approximately $28M/Yr in core funding. Together, they have the capacity to conduct thousands of different tests on animal diseases and food-related issues. These labs provide Food from Thought scientists some of the data needed to track a range of factors including animal diseases. The University of Guelph received a $20-million donation from the Arrell Family Foundation to create the Arrell Food Institute at U of G. Its vision is to transform global food systems, and elevate Canada’s place within the global food economy. The Biodiversity Institute of Ontario (BIO) was launched with a $90M investment by Canadian and international funders and has secured uncontested leadership in the field of DNA-based species identifications. BIO is also home to the Barcode of Life Datasystems. Canada’s largest network of field research stations is supported through our $91M/Yr partnership with the Ontario Ministry of Agriculture, Food and Rural Affairs and includes research related to: agroforestry, turf grass, aquaculture, engineering, pest management, horticulture, and animal, crop & veterinary science. These facilities are in a diverse range of settings and represent a unique asset that no other Canadian university has. This places UG in the top-most tier of global agricultural schools in terms of capacity to conduct field experimentation along temporal and spatial gradients. The Campbell Centre for the Study of Animal Welfare is North America’s largest group of researchers focusing on animal behaviour and welfare. With expertise spanning the livestock commodities, the Centre’s scientists give Food from Thought the capacity to link husbandry and welfare to ensure that results directly translate into policy and practice. The Canadian Research Institute in Food Safety is a fully equipped multidisciplinary food safety research facility with a $1.7M/Yr budget. Together with the Centre for Public Health and Zoonoses, it provides Food from Thought with the needed scientific and policy expertise to advance the food safety aspects of this proposal. Centre for Genetic Improvement of Livestock and the Centre of Nutrition Modelling are both international leaders in the research and promotion of animal breeding, nutrition, and the genetics / genomics of livestock. Scientists with these two groups provide Food from Thought the capacity to take a leadership role in the livestock genomics and feeding aspects of this proposal. The Centre for Public Health and Zoonoses works to coordinate existing public health research at UG. Together with the Canadian Research Institute in Food Safety, this group will deliver on the food safety agenda of Food from Thought. The Guelph Food Innovation Pilot Plants and Meat Processing Facilities were built at a cost of $42M and include three small-scale food manufacturing plants, an abattoir and meat processing lab, all of which have cold storage capacity and the requirements for a federally-approved food plant. These facilities offer scientists and entrepreneurs working with Food from Thought the opportunity to test and incubate ideas in association with the Research Innovation Office. The Elora Research Station – Dairy Facility is a $25M joint project between the Agricultural Research Institute of Ontario, the University of Guelph, and the Ontario dairy industry. This cutting edge facility will provide Food from Thought the opportunity to apply big data analysis to increase dairy productivity while reducing inputs and enhancing animal health. The Research Innovation Office helps transform the University of Guelph’s world-class research into innovations that change lives and improve life. They connect research to the world and use on-campus innovation to foster positive changes for the community, government and industry.